When you think of a Christmas concert, what may come to mind is an evening that starts with We Wish You a Merry Christmas, continues with Jingle Bells and winds up with a rousing account of Frosty the Snowman, with the audience singing along. A Seraphic Fire Christmas runs through Sunday in Key Biscayne, Coral Gables, Miami Beach and Fort Lauderdale. It will be an evening of candle lit processions, first-rate singing — judging from the ensemble’s past concerts– and Christmas music that spans 1,000 years. As Quigley points out, Jingle Bells will not be on the program. 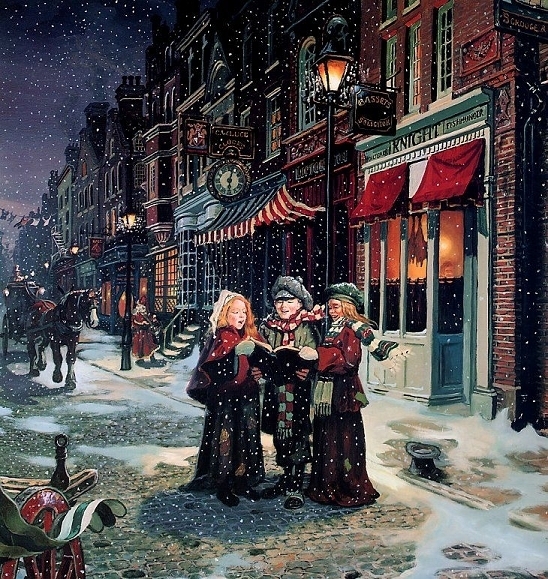 There will be a few well-known works like O Come All Ye Faithful and O Little Town of Bethlehem. There will also be several examples of medieval Latin plainchant, such as Pater Noster, Ave Maria and Verbum caro factum est. Part of the evening will be built around songs from the Choir of King’s College, Cambridge’s famous Nine Lessons and Carols, such as Once in Royal David’s City. And there will be works by contemporary composers, such as Frank Ticheli’s There Will be Rest. Even with tickets priced at $50, tonight’s concert in Key Biscayne has already sold out. A Seraphic Fire Christmas starts Thursday with a sold-out performance at St. Christopher’s-by-the-Sea in Key Biscayne, and continues Friday at 7:30 p.m. at First United Methodist Church in Coral Gables, Saturday at 8 p.m. at Miami Beach Community Church and Sunday at 4 p.m. at All Saints Episcopal Church in Fort Lauderdale. Call 888-544-3473 or go to www.seraphicfire.org.